Increase user engagement on your site and get more followers with Facebook Page Modules. 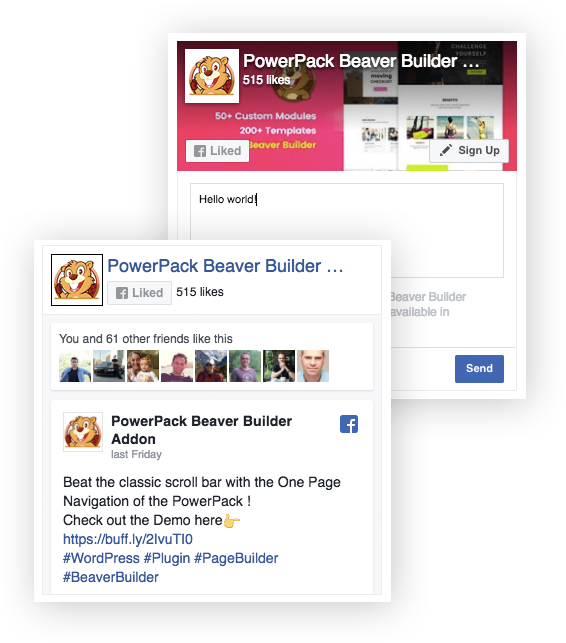 Use the Facebook Page module to display Facebook Page Box and Feed. Place it on your site to display your latest updates or increase the page followers. You can display Facebook Page (Like) Box, Timeline, Events or Messages. No more messing up with embed codes. Drag & Drop.